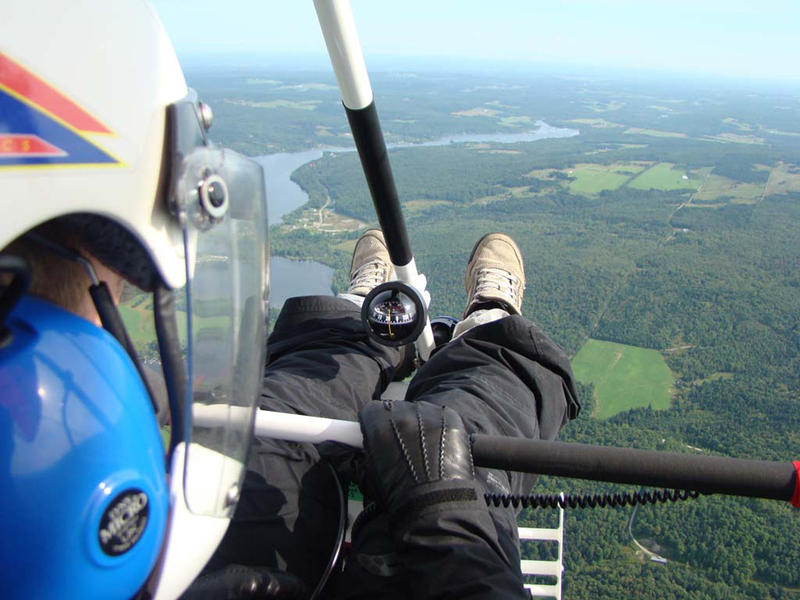 Your ultralight pilot's licence will allow you to fly an ultra-light type aircraft during the day with a maximum weight of 1,200 pounds. Your training must meet the Transport Canada requirements for the issuance of your licence. Above all, you must obtain a category 4 medical certificate issued by Transport Canada. More than 20 hours of theoretical training on topics related to regulation, theory of flight, weather, and navigation until you get your Restricted Operator Certificate With Aeronautical Qualification. 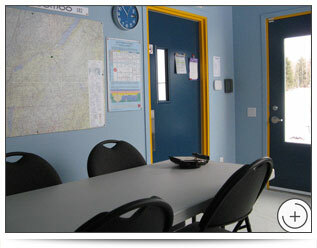 Authorized agent of Industry Canada to conduct the exam and issue the licence. A minimum of 10 hours of flight practice including 5 hours with dual control and 2 hours solo, not to mention a total of 30 takeoffs and landings, including 10 solo. The school's written pre-solo exam (PSTAR). Note that a written Transport Canada examination (ULTRA) is required to obtain your licence. 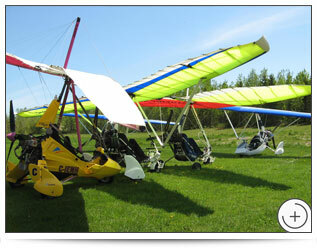 ULP Aviation is an authorized Transport Canada agent for the licensing of Ultralight pilots. 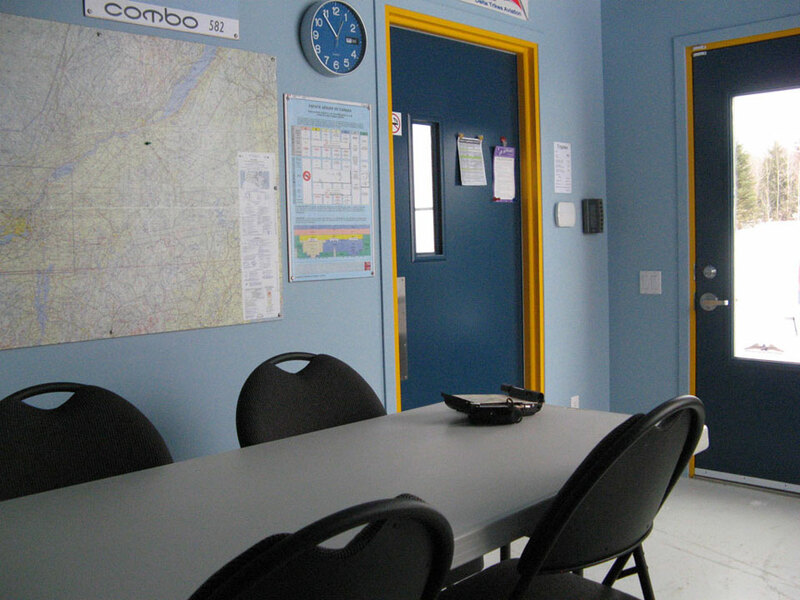 ULP Aviation provides training essential to good Radio aeronautical communication and and authorized Agent for the issue of restricted operator certificate with aeronautical qualification of Industry Canada. 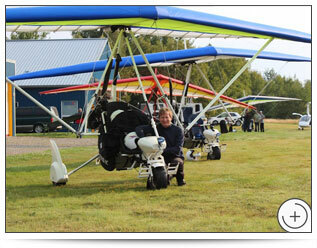 What is meant by Ultralight Trike? 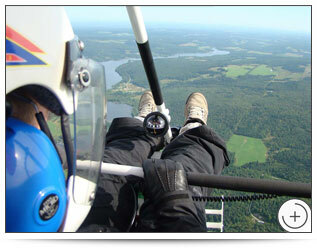 The origin of Ultralight Trike is hang gliding. This is why it is very similar. 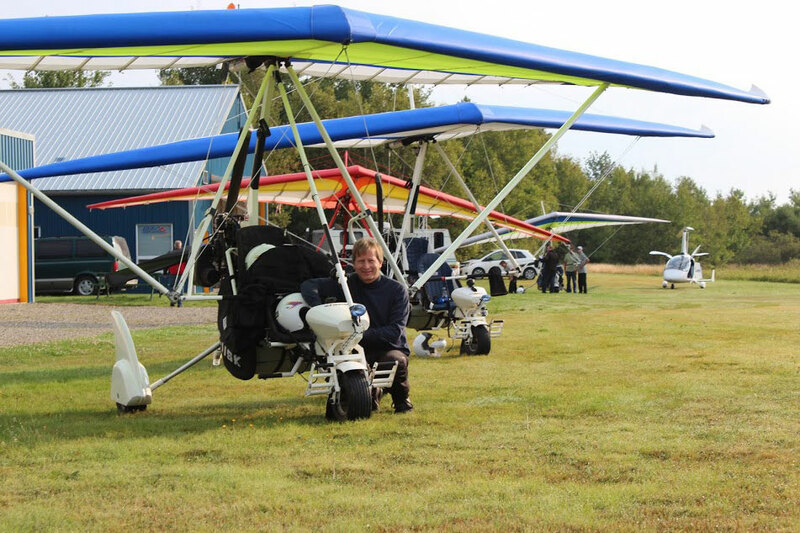 The Ultralight Trike is a hang-glider, with a chassis suspended from it. The chassis has been reinforced to accept the increase of stresses generated by the weight of the motorized tricycle and the centrifugal force exerted by the propeller rotation. Its ability to fly slowly makes it possible to take off and land on grassy slopes at very short distances. Flying in the open air without a cabin allows you to get maximum enjoyment from the beauty of our landscapes during the different seasons. 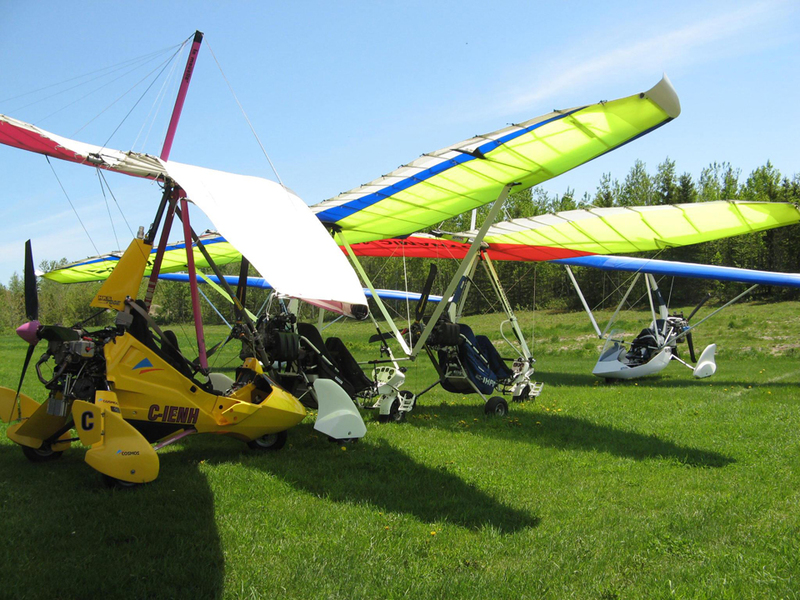 Tandem or solo, it can fly at an average speed of 100 km/h and has a range of 3 to 5 hours. Piloting the trike is very simple because there are no fins or wing elevator. Handling it works by weight transfer. The control bar is used only to link with the wing. Over time, these aircrafts have evolved a lot and use the most modern aviation materials. It has a very good "all terrain" quality.